The Quebec budget has some welcome measures for homebuyers and existing home owners but should have done more for first-time buyers, one of the province’s real estate bodies says. The Quebec Federation of Real Estate Boards says that it would have liked to have seen real estate transfer tax exemption for first-time buyers, like the one introduced by Ontario last fall. The transfer tax brackets have not changed since 1992, the federation highlights, while home prices have surged. The federation says that the move would not only help first-time buyers with the burden of homebuying costs but would also help boost the province’s homeownership rate which historically lags other parts of Canada. "Concrete measures are needed in real estate given the fact that Québec consumers are facing major mortgage tightening measures introduced by the federal government in recent years. Home ownership is more and more difficult for young families looking forward to building a family nest of their own," said Patrick Juanéda, President of the Québec Federation of Real Estate Boards. 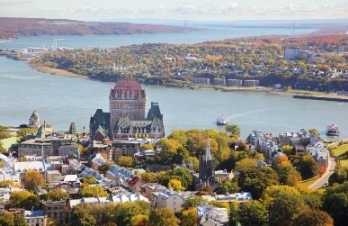 The Quebec government’s positive moves on housing include a new tax credit for wastewater treatment systems; the decision to continue with the RenoVert tax credit for renovations; and the construction of 3,000 new social housing units.